Second bathroom with shower and washer/dryer. Large screened porch on front of house (22X13), smaller private screened porch on back. Brand new luxury condo at The Residences in the heart of Dewey Beach. Views of the Bay and Marina. Only 1 block to the beach. Enjoy the sunsets from the rooftop pool! Your ultimate vacation destination! Welcome to The Residences at Lighthouse Cove, located in Dewey Beach, DE, only 1 block from the beach. 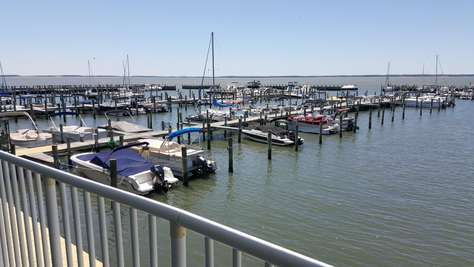 Enjoy views of the Rehoboth Bay and Rehoboth Bay Marina from your balcony. This unit comes with a fully equipped kitchen with everything you need to cook a nice meal. Enjoy bay and marina views from the master bedroom that includes a King size bed and an HDTV. The private master bathroom has a custom tile shower and double vanity sinks. The guest bedroom includes a bunk bed with a trundle bed and an HDTV - Perfect for the little ones! Guest room also has private entrace to the 2nd full bath. 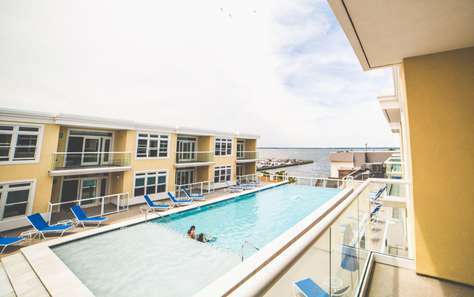 This condo is adjacent to the Hyatt Place Dewey Beach and guests have access to many of the hotel amenities that include the indoor saltwater pool, fitness room and Starbucks coffee bar. 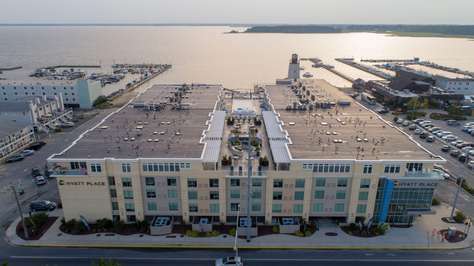 The rooftop outdoor pool is located on the 3rd floor with views of the Rehoboth Bay. You will not want to leave here! Enjoy the community fire pit and BBQ grill area from the 4th floor plaza. This unit is nonsmoking and not pet friendly, includes 2 parking spots in the garage. 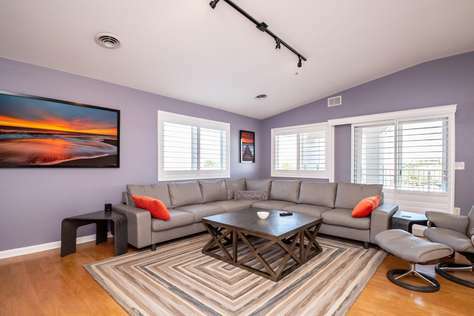 Newly remodeled 4 bedroom 3 bath Penthouse located in the heart of Dewey Beach at the Izzy Plaza. Only 1 block to the ocean. Unit is fully equipped with everything you need to cook a full meal. Don't feel like cooking? Head right next door to the World Famous Starboard Restaurant. For the coffee drinkers; there is a regular coffee maker, Keurig and even a Nespresso maker! There is a DVD player for those rainy days. Enjoy the outdoor shower after those sandy beach days. Enjoy Ocean Views from the wrap around deck! Everything you need is within arms reach. You can catch the Jolly Trolley to head downtown to Rehoboth. Unit comes with 2 on-site parking spaces and 2 town passes. Bedroom 4 - 2 Full and 2 Twin bunk bed sets with walk in closet and shared screened in balcony. There will be a $100 short stay fee added to any reservation made for less than 7 nights. Located ocean block on Collins Ave. One of the quiet streets in South Dewey. Tidewatch community, just a few steps to the ocean. second floor condo 2 Bedroom, screened porch, building faces the direction of the ocean. The Town of Dewey Beach offers FREE family-friendly movies on the beach on Monday evenings in peak season and bonfires on the beach every Wednesday in peak season. There are also fun activities on the beach including yoga on the beach, and kids activities on the beach including tetherball, skim boarding, kite flying, and volleyball. You can also catch the Jolly Trolly to go to the boardwalk in Rehoboth Beach. Wake up to dreamy sunsets and endless views of the bay from the living room and master suite! This gem offers seasonal roof top pool and is newly renovated with granite counters, stainless steel appliances, and fresh paint all just steps to the bay and marina, second block to the ocean. The over sized master suite houses a king bed and a single pullout with an additional queen pull out in the living room, comfortably sleeping four adults and one little one. Dogs are welcome with a $200 non refundable pet fee. This condo is offers on site wifi, is non smoking, has elevator access, accommodates parking for one and is walking distance to everything Dewey has to offer! Watch fireworks from the balcony on the Fourth of July!!! Wake up to stunning bay views in this pristine vacation rental condo. Featuring 2 master suites, each with a king bed. A full kitchen with granite countertops and stainless fixtures - all in the heart of Dewey! Balcony with full bay views from one bedroom and living room. Second private balcony with full bay views from second bedroom. Assigned parking, elevator access and walk to everything Dewey has to offer. All stays less than 7 nights will incur a Short Stay Cleaning Fee. Welcome to The Residences at Lighthouse Cove, located in Dewey Beach, DE, only 1 block from the beach. Enjoy views of the Rehoboth Bay and the private Rooftop pool from your balcony. This unit comes with a fully equipped kitchen with everything you need to cook a nice meal. Enjoy bay and pool views from the master bedroom that includes a King size bed and an HDTV. The private master bathroom has a custom tile shower and double vanity sinks. The guest bedroom includes a bunk bed with a trundle bed and an HDTV - Perfect for the little ones! (Picture will be updated once the bunk bed arrives) Guest room also has private entrance to the 2nd full bath. This unit is nonsmoking and not pet friendly, no groups or parties. Condo includes 2 parking spots in the garage. 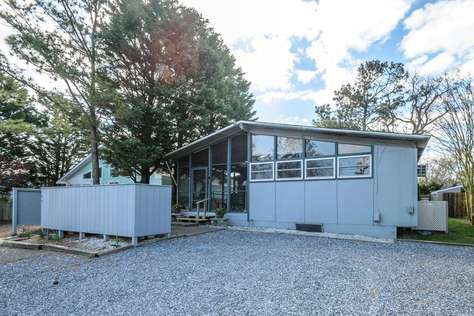 Enjoy this 3 bedroom 3 bath plus loft cottage located in Dewey Beach at The Baystrand located off of Bayard Ave and New Orleans St. Only 2 Blocks to the Ocean. Close to everything yet quiet location. 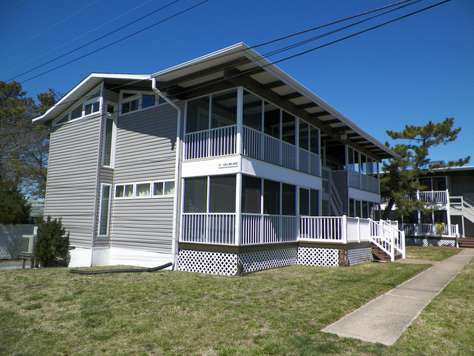 Walk to everything Dewey has to offer or take the Jolly Trolley into Rehoboth Beach. Enjoy the Bay views from the deck.